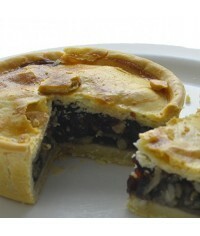 Packs of 10 pies: Gluten free flour, butter (milk) mixed nuts, leeks, mushrooms, cranberrie.. Packs of 10 pies: Gluten free flour, mixed nuts, leeks, mushrooms, cranberries, (eggs), che.. Pack of 5 5x Mozza Pizza Pie Gluten free flour, butter (milk) sundried tomato, courgette, m.. Pack of 5 Nutty Pie Gluten Free Gluten free flour, butter (milk) mixed nuts, leeks, mushroo.. Pack of 5 Nutty Pie Gluten Free Gluten free flour, mixed nuts, leeks, mushrooms, cranberrie.. 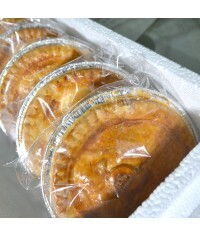 Pack of 10 Veggie pies: What's in the box? 2x -The ‘Mozza' 2x -Nutty Pie 2x -Mediterranean V..
LACTOSE FREE : Pack of 10 Veggie pies: What's in the box? 2x -Nutty Pie 2x -Mediterranean Veg.. 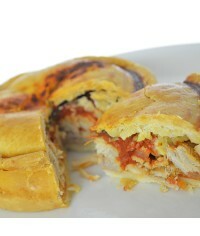 Pack of 5 Veggie pies: What's in the box? 1x -The ‘Mozza' 1x -Nutty Pie 1x -Mediterranean Ve..
LACTOSE FREE : Pack of 5 Veggie pies: What's in the box? 1x -Nutty Pie 1x -Mediterranean Veg 2..